Why the Lion Calls - Jackson Wild: Nature. Media. Impact. This is a story about Kapurua Daniel, a young boy who lives in Amboseli in Kenya who wants to grow up to become a Lion Guardian like his older brother. Historically, Maasai boys have killed lions to become warriors. But something different is happening here, where the Maasai are now employed to protect lions, and show how both people and Africa's iconic cat can live together in this landscape. I had been working in big cat conservation for many years and was too acutely aware of the giant challenges big cats are facing around the globe – from relentless poaching for their skins and bones, killing from conflict with livestock and humans, and habitat loss and fragmentation. But I knew there were locally relevant, scalable solutions –stories that show that hope isn’t lost and there’s reason to keep forging ahead. I had known the co-founders of Lion Guardians, Leela Hazzah and Stephanie Dolrenry for years, and admired their model of how it saved lions and changed peoples’ lives. They told me about a young Maasai boy who had never seen a lion in the wild but whose father (who was a Guardian) took him into the bush to see his first lion; and in preparation this little boy put on his church clothes. I was moved to tears and thought what a gorgeous and hopeful story– of people who traditionally killed lions who were now putting on their best clothes to greet them. We actually had Lion Guardians come to Akagera National Park in Rwanda, a park African Parks has been managing since 2010 when we brought back lions in 2015 after 10-years of being absent. I love stories that move you, that make you feel something - and ideally those are feelings of hope, inspiration, surprise, and even love. I look for real stories about conservation from unlikely places, and like to focus on the positive. I think we need to balance the doom and gloom of what’s happening with wildlife and also tell the stories of change – of survival, resilience and the extraordinary efforts of people who are coming together to help save species and wild places around the globe. As the Chief Marketing and Communications Officer for African Parks, a conservation NGO that manages protected areas across Africa, I focus on these stories from the parks we manage and find people are often more inspired to get involved based on hope, rather than fear. I hope this film helps Lion Guardians with telling their story, of their impact, and how they are changing people’s lives and saving lions – whether that’s through getting additional donor support to shining a light on the Guardians themselves, to helping inspire local communities that there are solutions to living with lions and other big cats. 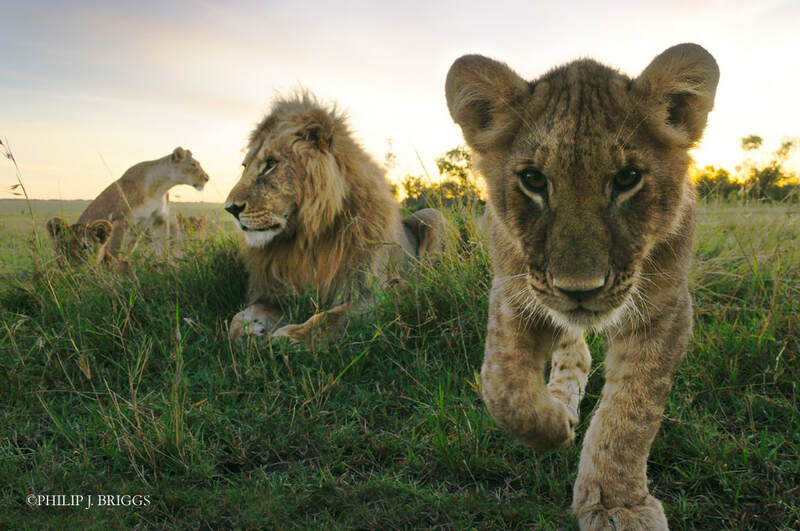 The film will be translated into Ma and Swahili and I hope the Lion Guardians can use it as one of their tools to engage their local audiences, and help protect more lions.